Rose-Anne Russell studied Certificate III and IV at TAFE in 2002. After graduating, she set up a shoemaker’s co-operative with 5 shoemakers. This was a simple beginning and over time expanded into two shops. After four years she re-located to a retail shop and workshop on Portrush Road, in the Eastern Suburbs of Adelaide. Here she expanded her skills. She developed a range of leather handbags and accessories and continued her work as a custom shoe maker. 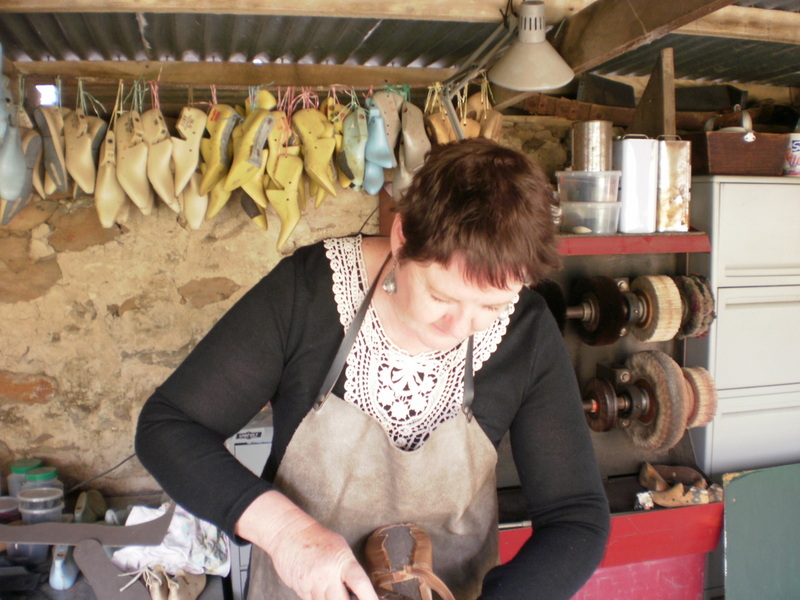 In the evenings Rose-Anne ran workshops in hand bag making and leather accessories at TAFE as well as working as an assistant Shoemaking Lecturer. As her four children became more independent, she and her husband realised a dream of relocating to the country. They bought a property in the Barossa, at Springton. Here she ran her open home studio where she worked with her husband Mick. Rosie focused on shoes, handbags and accessories. while Mick made belts and men's leather accessories. In 2013 Rosie was approached by the Jam Factory to become an artist in residence at their new location in Seppeltsfield, Barossa SA. -'Off the Wall' SALA, Springton Town Hall. - SALA Exhibition, Grundy's Shoes. 2014 - 1st Place People's Choice. SALA Exhibition, Grundy's Shoes. 2011 - 3rd 4th 5th place people's choice award. SALA Exhibition, Grundy's Shoes.